Upon the completion of your registration process Youth Quests will provide you will a webpage for your Team and a personal page for your support information and links. Other Support and Financial Assistance planning and ideas are available on our social network Click Here. Donations to Youth Quests International should be made payable to "Hope For Youth"
Please send a completed Donation Coupon with your ID label along with every donation you send to Youth Quests International. We recommend donations in form of checks because there is no personal record obtained with a cash donation. Copy all checks and Donation Coupons for your own records before sending them. In order for your mission account to reflect the most up to date financial status and to serve your donors in a timely manner, please send checks you receive directly to Youth Quests International no later than 3 days after you’ve received them. *If you are traveling with a group, please contact your group leader before sending any funds. Contributions are NOT refundable nor can the donor or missionary request the contribution be designated for another missionary. 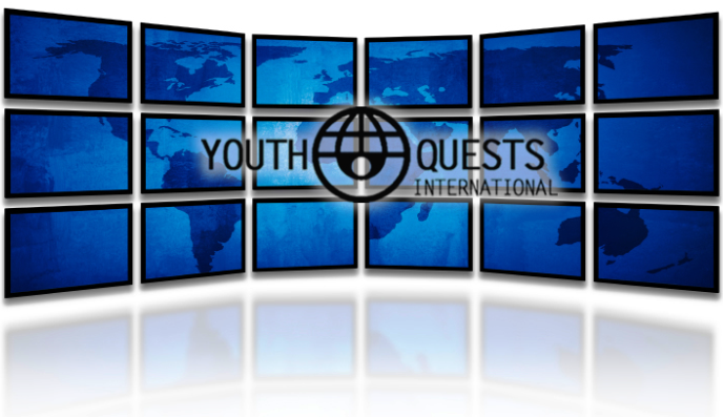 All funds donated by sponsors become the exclusive and permanent property of Youth Quests International when received and are at all times under the complete discretion and control of Youth Quests International. Donated funds will be used in furtherance of Youth Quests International purposes for missions work and evangelism. was made as a result of a request by (name of missionary). If the check happens to be made out to you, please be sure to endorse the check before sending it to Youth Quests International or we cannot apply the funds to your account. If the missionary cancels his or her plans to go on a mission trip after the International Ticketing Deadline, 50% or a minimum of the trip costs purchaced to date, of the trip cost will be charged to their account to cover the cost of their airline ticket and other deposits and administrative expenses. If a missionary cancels before the International Ticketing Deadline, no charges will be made other than the deposit and registration fees. Any remaining funds will be held over for one year to send that same missionary or an immediate family member on another Youth Quests trip. And do not forget... Any money sent to Youth Quests International within two weeks of the date you leave for your trip must be sent through a company that provides 1 or 2 day delivery with tracking numbers (Federal Express, UPS, etc.). Do not send any money to Youth Quests International within 3 days of the date you leave for your trip! Please bring those remaining funds with you to turn in upon registration.